An unhandled exception ('System.ServiceModel.EndpointNotFoundException') occurred in OWSTIMER.EXE . The Just-In-Time debugger was launched without necessary security permissions. To debug this process, the Just-In-Time debugger must be run as an Administrator. Would you like to debug this process? This posts is for the feature introduced in the SharePoint 2010 i.e.. “SharePoint Developer Dashboard” The Developer Dashboard is the UI components build in SharePoint Foundation that displays the diagnostics information that can be useful to the developer or farm administrator. By default this feature is not enabled, this is to be done explicitly. SharePoint Developer Dashboard is enabled on a farm-wide basis. SharePoint 2010 provides the business collaboration platform for developers to rapidly build solutions using familiar tools while leveraging a rich set of out of the box features. Visual Studio 2010 and SharePoint Designer 2010 make developers more productive and Visual Studio Team Foundation Server delivers support for application lifecycle management. Developers can integrate Line of Business data in SharePoint 2010 with read/write capability delivered by Business Connectivity Services. Sandboxed Solutions can be deployed to a shared hosting environment to limit the impact of unpredictable code to the other applications in use. Getting Started with SharePoint 2010 Welcome to the SharePoint 2010 learning center. SharePoint 2010 includes numerous new capabilities and features for professional developers. In this welcome video you will hear from some of the team members behind the training kit to understand what the kit is all about and what are plans are for the future of the SharePoint learning center on Channel 9. SharePoint 2010 Developer Roadmap SharePoint 2010 includes numerous new capabilities and features for professional developers most of which are highlighted in this unit. SharePoint 2010 makes developing those solutions easier, quicker, and more flexible. Much of the work that the developer had to do in the past with earlier versions of SharePoint has been replaced with simple configuration of the SharePoint 2010 platform, use of Visual Studio 2010 and SharePoint Designer 2010 or with calls to the SharePoint API. Visual Studio 2010 Tools for SharePoint 2010 This unit will provide you with an overview of SharePoint development with Visual Studio 2010. Specific topics covered will include an overview of the project and item templates, a walkthrough of the designers included, and areas of extensibility within Visual Studio 2010 that can enhance SharePoint development. Visual Studio 2010 includes support out of the box for the most common types of projects that you may want to build with SharePoint 2010 as well as new features for more easily defining features, solutions, and wizards to walk through the most common settings for each project type. UI Enhancements The look and feel of SharePoint has radically changed from earlier versions of the product. In addition to being more accessible to the user it allows for improved extension points and fewer workarounds. The new user interface components that you can extend and build applications which include the fluent UI ribbon and an extensible dialog system. Lists and Schemas In a typical system data is somewhat normalized – not all of the system's data exists in one large table or list. Instead data exists in sets of tables or lists which have one entry for each entity across multiple tables. LINQ to SharePoint LINQ is a new data access paradigm which allows users to express SQL like syntax against a variety of data sources. LINQ can improve performance by allowing the back end data source to decide the best way to solve the query. SharePoint now fully supports LINQ for querying lists so that you can query information from the platform in a more condensed, easier to understand format. Workflow In SharePoint 2010 you can associate workflows with a site so you need not associate a workflow instance with a specific item in a list. Site-level workflows are a powerful mechanism to create generic functionality using the power of Windows Workflow Foundation (WF). Services Architecture In this session we will discuss the new Service Architecture model for SharePoint 2010. In SharePoint 2010 the Service platform has been re-written with a new more scalable and flexable architecture. 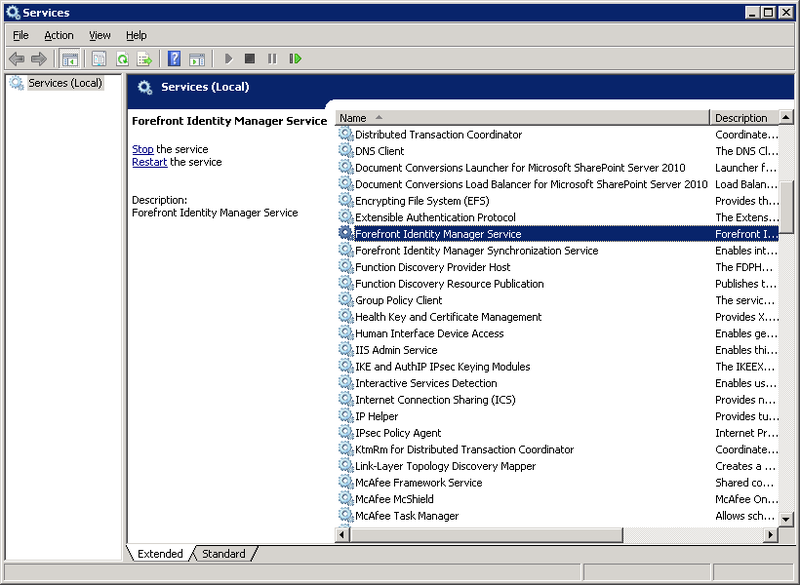 Accessing External Data In SharePoint 2010 Business Connectivity Services (BCS) enables integration with back end systems. Business Connectivity Services includes a set of presentation features, a connectivity framework and tooling within SPD and Visual Studio that enable developers and ITPros to connect to external data and services and to surface this data in SharePoint 2010 and Office 2010.This session will provide an overview of the BCS capabilities and usage in SharePoint 2010. Enterprise Content Management From a free form Wiki to a highly controlled intranet or internet site, learn about all of the new Web Content Management features in SharePoint 2010. This session will cover enhancements to the core authoring UI, publishing infrastructure, the content query webpart, and content deployment. Extending Search This session will provide an overview of the enterprise search product line in SharePoint 2010. We've brought together the best of SharePoint Search and FAST ESP, resulting in the most complete enterprise search product line in the industry. In this session we'll talk about our overall strategy for enterprise search and delineate each of the key search products in SharePoint 2010.
Business Intelligence There has been considerable investment in the Business Intelligence capabilities of SharePoint 2010. From new product capabilities like balanced scorecards, interactive dashboards, and line of business integration to improvements in Excel rendered content with Excel Services, improved and new capabilities for Self-Service information access, and creation of BI assets. In this session, we will cover the major components and identify the new capabilities. Sandboxed Solutions SharePoint 2010 adds a new deployment model for SharePoint called Sandboxed Solutions. It is a controlled solution packaging format that offers SharePoint Server Farm owners a way to easily mitigate risk that custom code will cause issues for them. It does this by restricting the API's that can be called and governing resources that can be used. Because of this Sandboxed Solutions provide a solution package that can be easily deployed to a shared server environment. This talk will describe what Sandboxed Solutions are, it will demonstrate how to create them with Visual Studio 2010 and how to deploy and monitor them on SharePoint farms. SharePoint 2010 Security SharePoint Server 2010 incorporates a new, more powerful and flexible authentication model that works with any corporate identity system, including Active Directory® directory services, LDAP-based directories, application-specific databases, and new user-centric identity models such as LiveID. This model uses claims-based authentication and a new product, code-named “Geneva.” Claims-based authentication is built around the concept of an identity and is based on standards — WS-Federation, WS-Trust — and protocols like the Security Assertion Markup Language (SAML). SharePoint 2010 Best Practices SharePoint 2010 is a very large product with many options. This can be challenging for developers to understand what the best way to accomplish a given task is. In this unit you will learn about some the most common best practices are for developers who are new to SharePoint. SharePoint 2010 Security SharePoint development requires that you develop on the same machine in which SharePoint is installed. Many developers choose to use Hyper-V VHDs to host their development environment. In this unit you will learn how to build a SharePoint 2010 development on a Hyper-V virtual machine. Upgrading Custom Solutions Microsoft SharePoint Foundation provides new members that make it possible for you to upgrade custom Features through versioning and declarative upgrade actions. In this unit you will learn how to leverage the new feature upgrade capabilities in SharePoint 2010. Upgrading VSeWss Solutions to SharePoint 2010 Today there are many solutions written using the Visual Studio for WSS (VSeWSS) tool. This tool was one of the tools that developers used to build SharePoint 2007 applications. In this unit you will learn about how to upgrade your existing SharePoint 2007 applications to SharePoint 2010. 1. Service Pack 1 includes a rollup of all Cumulative Updates released through April 2011 and all Public Updates released through June 2011. They are not included in the list below, which is specific to changes that are shipping for the first time in SP1. 2. Because we relied on experts of each product to write the text below, the phrasing throughout the table is not 100% consistent. Some of the text simply describes a problem that was fixed by SP1, while other text describes the problem and the new behavior after installing SP1. When reading the list below, please keep in mind that, despite the individual phrasing of each description, all of the issues listed should be fixed in SP1. 3. In addition to the fixes listed below, SP1 contains additional changes which are less visible, but improve various aspects of the product. This includes reducing the number of crashes, improving security, and fixing other issues that were deemed to be too specific to include in this list. Excel Services Sparklines are not displayed in a web part in named object view if there are no named items published when the workbook is saved. Excel Services In Excel Services, when you filter a slicer that is connected to PowerPivot, Excel Services becomes unresponsive. Excel Services Controls that are bound to an expression in the form header do not work in Internet Explorer 9. Excel Services The SUBTOTAL and AGGREGATE formulas show incorrect values when you undo a filter operation. Excel Services The user receives the "An Error Has Occurred" message on the server when the TREND, LINEST, LOGEST, or GROWTH are used with external references on the Excel client and then the file is uploaded to the server. Excel Services Excel Services cannot connect to Analysis Services over an HTTP connection. Excel Services Values that include array formulas are not updated when you copy the values between worksheets. Excel Services Summing formulas that contain defined names produce a #VALUE error. Excel Services Data is lost when you copy or cut data and then paste it into a filtered range. Excel Services Certain function names are not localized for some languages. FAST Search Server The link and click-through analysis engines break when you set up a multi-node installation for which the hostnames in the deployment file use different casing than the hostnames that are given to the Post Setup Configuration script. FAST Search Server When indexing documents which cause warning or errors, indexing speed drops significantly. FAST Search Server Information on the backup and crawler configuration are missing from the infotool report when FAST Search Server is installed in a folder whose name includes a white space character. FAST Search Server If you try to create a new rank profile that has an illegal name (such as a name that contains angle brackets), the schema update will fail on the FAST Search servers, but you will not receive an error message in the PowerShell console. Subsequent index schema updates might also fail without any error message in the PowerShell console. FAST Search Server PowerPoint SlideShow (.ppsx) files are not searchable when you use the latest Microsoft Filter Pack. FAST Search Server Feeding fails after customization of the inclusion dictionary. FAST Search Server The default schema settings produce irrelevant results because unnecessary content is indexed. The default schema also produces inconsistent SiteName values between indexed content from the SharePoint and FAST Lotus Notes connectors. FAST Search Server Indexer ignores errors when it copies directories. FAST Search Server Indexer crashes and corrupts the document index. FAST Search Server You cannot remove crawled property mappings for a managed property in SharePoint Central Admin. FAST Search Server The indexer goes into an invalid state and does not shut down. FAST Search Server The Configuration process (PSConfig) throws an error and terminates at resourcesstoreinstall.exe execution. FAST Search Server Titles and dates for Microsoft Office documents in search results do not correctly reflect the contents of the documents. FAST Search Server Incorrect FQL conversion occurs when a query uses type (type=kwany)/(type=kwall) with custom indexes. FAST Search Server Functionality to add search columns to a live system is lacking. FAST Search Server The crawler becomes unresponsive when it is looking up DNS host entries for a large set of websites. FAST Search Server The "total size of documents (bytes)" value that is reported by the Indexer process does not decrease correctly when documents are removed from the search index. FAST Search Server Document preview does not work in search results when https is used. FAST Search Server When an I/O exception occurs during index activation, the system enters a state in which no more data is indexed. FAST Search Server When the same managed property is added and deleted many times (more than 20), memory consumption for several processes continues to increase, even if the actual schema remains the same. FAST Search Server An error occurs when you use the command line tool "crawleradmin" together with the "--nodestatus" option to query the status of multiple web crawlers. FAST Search Server The deployment file templates contain recommended and commonly used components and services for servers in a FAST Search farm. These templates are out of date. FAST Search Server The terms in simplified Chinese language multi-term queries are automatically combined into a phrase. FAST Search Server If a refiner's mapped property has uppercase characters in the refinement panel, the refiner will not be returned from the FAST backend. This will also happen if programming interfaces, such as query web service, federation OM, or query OM, are being used. FAST Search Server When a user is authenticated by a third-party system through form-based authentication, search results do not list documents to which anonymous users have read access. FAST Search Server SAM configuration files are not patchable. FAST Search Server FAST scope filters are dropped if they are longer than the maximum size, but no warning message is returned. In this situation after the fix, the filter is reverted to the last known good string, and a warning is displayed in the user interface. FAST Search Server An uncaught exception makes the click through log analysis stop processing new data. FAST Search Server The master indexer becomes unresponsive during long index copies. FAST Search Server Adding items using the FAST database connector and multi-row normalizer functionality may cause the string "NULL" to be indexed instead of the value NULL. FAST Search Server If the click-through analysis engine fails to write its internal state to disk, the file that contains the state is truncated, and the application cannot restart. FAST Search Server If you have a crawl that uses sitemaps as start URIs, you may observe that certain documents are removed from the index by the crawler after a number of refresh cycles, even though these documents still exist on the web server and are also still linked by the sitemap. FAST Search Server The indexer can run out of disk space when old fixml data is not cleaned up. FAST Search Server Backup indexer or search may fail when disk space is low. FAST Search Server Search fails until samworker or qrproxy services are restarted. FAST Search Server In cases where indexing fails due to corrupt data new content will not become searchable. FAST Search Server After startup, the backup indexer gets out of sync with the master indexer with respect to index copying. As a result, the backup indexer does not have the necessary indexes available in case of failover, and everything will have to be re-indexed. Error logs may include this message: "Communication error when registering file receiver from ...: File receiver unavailable." FAST Search Server When an item processor cannot send link data to the link analysis engine, the item processor stores the data until it can be sent. In some cases, the data is never sent, performance suffers, and errors are logged. FAST Search Server Feeding performance for large batches, with many links per document or many documents per batch, is unexpectedly poor. FAST Search Server Administrators experience a performance drops in feeding due to the overhead of error-handling and resubmitting of batches. FAST Search Server Temporary index directories that remain when the search controller is stopped are not cleaned up, which wastes disk space. FAST Search Server Consider a scope that has a FAST specific scope filter for which the filter string contains one or more managed property restrictions, and the managed property names contain uppercase letters. When this scope is used in a query, the error message, "Property doesn't exist or is used in a manner inconsistent with schema settings" is returned. FAST Search Server Due to duplicate removal, the maximum query throughput (QPS) is roughly 50 divided by the number of columns (for example, a 10 column system would have a throughput of 5). FAST Search Server FastSearch feeding and indexing hangs when feeding recovery is triggered and there are many content feeding sessions running at the same time. FAST Search Server The click-through analysis engine (SPRel) breaks when error handling is triggered during feeding. FAST Search Server Corruption of the search index stops deletion of expired normalized dictionaries. Those files might never be cleaned up, wasting disk space. FAST Search Server In a fault tolerant setup under certain circumstances when the amount of available memory is low on the master indexer node, the master indexer shuts down. This can cause the backup indexer to loose sync. After the incident, the indexers must be manually synchronized. FAST Search Server In some scenarios, the crawler crawls documents in the wrong order and may not return the expected results. FAST Search Server Installation on the Italian language version of Windows 2008 Server fails in the post-setup configuration stage. FAST Search Server If the user updates the crawler configuration on a multi-node crawler setup that specifies a proxy for crawling, the crawling comes to a halt and all requests fail. This leads to no documents being updated or added to the index. FAST Search Server The infotool does not pick up the pipeline extensibility and schema files from the admin node. This information is very useful for troubleshooting schema and document processing scenarios. FAST Search Server When you run the SecureFASTSearchConnector.ps1 script in silent mode, a message is printed to the console that states that the script was not successful even if it was successful. This fix corrects that problem and resolves a problem of several log messages being printed to the console while the script is run in silent mode. FAST Search Server Users are unable to search with Greek lemmatization and spell checking. FAST Search Server Custom property extractors are limited. FAST Search Server When the user stops a process by using the command line tool nctrl, the message "Failed to stop the following process" is displayed, However, the process might just be taking a long time to stop. FAST Search Server The fsearch process grows in memory size until all system memory is used under a sustained heavy query load. FAST Search Server Intermittent issues with feeding performance. FAST Search Server The dump file (.dmp) that is created when Contentdistributor, Indexingdispatcher, or Nameserver crashes is unusable. Office Web Apps Text that is in shapes on PowerPoint slides is not editable in the PowerPoint Web App. Office Web Apps In Internet Explorer 9, various problems occur in PowerPoint Web App's edit view, including text that does not wrap correctly, text that is partially out of view, and difficulty scrolling. Office Web Apps Spell checker does not find spelling errors in various language versions. Office Web Apps When the Open in Client feature fails in WebKit browsers, you cannot save your work until you refresh the page. Office Web Apps AutoCorrect does not work in various language versions. Office Web Apps AutoCorrect does not correct text in various language versions. PerformancePoint Services When you edit the Named Set filter in Dashboard Designer, the wrong named set is selected. PerformancePoint Services For a SharePoint list data source, only the default view can be selected for a custom list. PerformancePoint Services If all values in a multi-select filter are "unchecked," the filter does not return to the default selection. PerformancePoint Services An unexpected error occurs on a chart that has custom MDX. PerformancePoint Services Webpage URLs that have spaces or special characters are not renderered in the dashboard. PerformancePoint Services You cannot export or view a web part menu that was opened by using the display report option of the PerformancePoint content list. PerformancePoint Services The Cascading Filters Apply button web part displays the dialog box title as blank ("untitled"). PerformancePoint Services Consistency problems occur for non-empty filters when you switch between grid view and chart view on the dashboard. PerformancePoint Services When you navigate from the decomposition tree to grid view, hierarchies break and might lose members. PerformancePoint Services Quotation marks around an XML IT attribute value in an Analysis Services filter cause an error. PerformancePoint Services You cannot create row and column links by dragging from a scorecard to an analytic view. PerformancePoint Services When you double-click a checkbox in Member Selector, the checkbox remains unchecked even though it is actually selected. You have to click OK an extra time to close the dialog box. PerformancePoint Services The selected items number format does not match the Windows number format in Member Selector. PerformancePoint Services An error occurs in Dashboard Designer when you try to delete PerformancePoint content that is stored on a SharePoint site that has the recycle bin disabled. PerformancePoint Services Decomposition Tree service does not work on a scorecard that is filtered by a SharePoint filter. PerformancePoint Services When you change filter values for a Custom Table filter that is linked to a Query Mode analytic chart, the chart is not correctly updated. PerformancePoint Services The GenerateView web service does not receive page filters. PerformancePoint Services The "clear filter" option is disabled for value filters on a bar chart report. PerformancePoint Services Scorecards that have a "blank" KPI indicator cannot be exported to PowerPoint or to Excel. PerformancePoint Services PerformancePoint Server 2007 filters that use column member or row member display values and that are from a migrated 2007 version scorecard do not work. Project Server Bulk update of project sites does not succeed when the project site URL does not include a trailing slash mark ("/"). Project Server The date ranges in the timephased grid for statusing are shifted by a day when a daylight savings time change occurs. Project Server A project administrator wants to create a team site that is not related to a specific project in a Project Web App site collection. But webparts cannot be added to that site, which makes it unusable. Project Server When you switch to a view for which a subtask is filtered out after you delete the summary task, the view does not load. Project Server When an update is applied to upgrade Project Server, but the database is not upgraded, an unhelpful "Unknown error" message is displayed. Project Server With SP1, Project Server now supports SQL Server Code Name "Denali" (SQL 11). Project Server Before SP1, you could not have a rule auto-publish when the rule was auto-approved. Starting with SP1, you can set rules to automatically publish updates to project plans after they are run on the Create/Edit Rules page. Project Server The "Mark Complete" button on the "My Tasks" page is disabled when it shouldn't be. Project Server AutoFilter performance in Resource Center is slow when large numbers of resources are in the view. Project Server Calculated measures are not upgraded correctly when you upgrade from Project 2007. Project Server A project that belongs to an Enterprise Project Type whose property was changed from Workflow to Non-Workflow (or vice versa) does not appear or does not appear correctly on the Change or Restart Workflows settings page. Project Server Creation of a Project Workspace does not succeed, but a record that the creation was successful is written to the publish database in Project Server. After the fix, the mistaken record is no longer written to the publish database. Project Server Actual work time that is submitted through MyTasks in Project Web Access is moved to a different day when the project is opened in Project. Project Server The server scheduling engine does not support effort-driven or fixed work tasks in the Schedule WebPart. Project Server When updates are accepted, task start and finish dates change unexpectedly. Project Server A policy was added in SP1 to automatically redirect extensions to use the latest version of the Project Server Library DLL. Project Server Approval fails for self-assigning team tasks. Project Server "Work value used is invalid" error occurs when you save a resource plan that has very small time-phased work values in Project Web Access. Project Server When you update an Enterprise task Custom Field by using the Project Server Interface (PSI), the task duration is changed to 100-percent complete for the updated task. Project Server When a user submits changes through My Tasks and the updates are accepted by the project manager, the start date of the task is changed unexpectedly. Project Server Users who have appropriate permissions receive an error message when they try to access a subproject in a master project in Project Center view. Project Server In certain language versions, you cannot load views in Project Server 2010 after you upgrade from Project Server 2007. Project Server Resource-synced tasks are not editable in the schedule web part when in edit mode. Project Server Beginning with SP1, team member support is included for the Mozilla Firefox and Apple Safari browsers. For example, team members can now use these browsers to submit time and status information on their tasks. Project Server When you click "Assign To Me" for tasks that are assigned to a pool resource, an error occurs. Project Server The Set-SPProjectWebInstance cmdlet does not work to update the host header site. Project Server When you modify status through Project Web Access or through the Project APIs, changes to "Actual Work" on manually scheduled tasks that have a 0-hour duration do not persist. Project Server Summary tasks create virtual links to their subtasks. This causes scheduling to be determined by subtask instead of by rollup summary. Project Server When you have a view filter that excludes one or more inserted subprojects, the view does not load when you try to expand all inserted subprojects. Project Server When the Projectproxy.QueueUpdateProject PSI method is used to change the start date of a task on a server that has protected actuals enabled, the actuals will incorrectly move along with the start date of the project. Project Server When a Project Web Access subscription is deleted, the path cannot be reused. Search Server Fileshare crawls will fail with "access denied" if the default access account or the account specified by a crawl rule to run the crawl does not have access to the search temp folder. Search Server Disallow directives in robots.txt files are not parsed in a way that is consistent with the de facto robots exclusion standard. Search Server PowerShell example help for "New-SPEnterpriseSearchServiceApplication" incorrectly references "New-SPIisWebServiceApplicationPool" instead of "New-SPServiceApplicationPool." Search Server A people search query returns inaccurate results. Search Server A Notes item cannot be crawled if a non-user/group/role string is in the Readers field of the item. Search Server The system cannot crawl PPSX files. Search Server Host redistribution doesn't make progress if the SQL Server with the configuration database is unavailable for longer than 10 minutes. Search Server When the search system is computing relevance statistics in the background, query performance can be affected, and end-users may experience slow queries. Search Server Many documents that were upgraded from earlier versions have the author listed as "-1;#;"on the search results page. Search Server When you assign a host to a search crawl database and the host name contains an underscore character ("_"), the rule cannot be created. Search Server If a user attempts a config-only restore on a farm different from the one on which the backup was taken, the restore fails with the following error: "System.ArgumentException: localStoragePath at Microsoft.Office.Server.Search.Administration.SearchApi.AssertParameter(String parameterName, Boolean condition). Search Server People search results are duplicated starting on page 8. Search Server An upgrade does not succeed if the Search SSA administrator no longer exists in the Active Directory. Search Server After topology changes, crawls are stalled for several hours. Search Server Topology changes that add or remove a crawl store are not restartable if they are not successful. Search Server If a search crawl host redistribution operation is interrupted by a temporary connectivity problem, the progress indicator of the operation is no longer accurate. Search Server When you rename a crawl store, entries for the old name and the new name appear in the topology administration pages. Search Server When a crawl store is removed, outgoing anchor links to documents in content sources that were not crawled yet are not redistributed. Search Server A restarted host redistribution creates duplicate anchor text data in the redistributed store. Search Server Querying in the Serbian language does not work. Search Server When you search for an HTML file, the result contains several words that are not separated by spaces. Search Server In certain languages, tooltips appearing over the search crawl logs filter specification dropdown lists contain code characters not intended for reading. Search Server Health Analyzer in Microsoft Search Server Express displays a false warning: "Trial period for this product is about to expire." Search Server Crawls in FAST Search for SharePoint stop responding. A search service restart is required to recover. Search Server Search does not index the File Server Resource Manager properties of Windows files that are not Office files, such as .txt files. Search Server The page for administering search crawl rules displays an English error message in non-English language versions when a non-valid site name is encountered. Search Server If a query component is not mirrored and its index becomes corrupted, the corrupted component is shown as “Not responding”. An index reset does not resolve the situation. Search Server You issue a query that includes a phrase as a synonym to one of the terms. If more than one instance of that phrase occurs in a URL, a crash occurs. Search Server When the dedicated web front end servers (WFEs) for a search deployment are down, search redirects traffic to all the remaining WFEs. This overloads the system. Search Server The crawler stops responding after processing a large number of links. Search Server Phonetic People Search does not work correctly for the Russian and Korean languages. Search Server Search administration reports for a larger SharePoint farm (with multiple search service applications or multiple web frontends and query servers) show a query rate that exceeds the actual number of queries that users are executing. Search Server The search crawl log page includes obscure error information about index deletions. Search Server You cannot create a new search service application by using pre-existing empty databases. Search Server If you enter a query that begins with a double-quotation mark but does not end with a double-quotation mark, an error message is returned. Search Server The search content sources administration page loads very slowly when there are many content sources defined. Search Server You try to perform a restore, but the restore fails. You receive an error message that identifies the cause but not the location (the component from which the error originated). Search Server After a search restore is performed, the "dedicated" setting of a crawl store is lost. Search Server After a restart of the Search service, the crawler sometimes stops responding, and a service restart is required. Search Server You set the "Has Multiple Values" field for a built-in date/time managed property that is part of the restricted set of managed properties that are retrieved on each query. In this scenario, all queries return "Internal server exception." Search Server Before SP1, it was cumbersome to write a new web part or to extend an OOB web part. Starting with SP1, a new API is available (LocationConfigurationsCollection object) that makes these jobs easier. Search Server A malformed query exception occurs when you execute a full-text query that includes an integer multivalued property in the where clause. Search Server Administrators are able to create a crawled property whose name is non-numeric, using the SharePoint Search Windows PowerShell cmdlet "New-SPEnterpriseSearchMetadataCrawledProperty", with the "-IsNameEnum" flag set to $true. This crawled property breaks the search schema, and will cause subsequent search crawls to be stuck in the "Starting" state. Search Server QueryManager.GetResults() is not public. Starting with SP1, QueryManager.GetResults() is public. This clarifies for developers that you have to add the LocationList to the queue QueryManager before you execute a query. Search Server You cannot determine which result page is the source of a logged click. Search Server A query logging search session lasts for a full day and may end in the middle of an actual search session. The fix requires PSConfig to be run after applying SP1. Search Server You try to index some HTML files that contain noindex div blocks. However, some text in the noindex div blocks gets indexed and is searchable. Search Server You cannot create a scope filter of greater than 2,047 characters (although the defined maximum is 51,200 characters). SharePoint The server contacts template opens as read-only in the Access client. SharePoint When the report consolidator tries to create a new partition and the system is out of disk space, the reports that use data in the new partition will show no data. SharePoint When a task for Approval Workflow is deleted, the"Deleted By" information is incorrect. SharePoint Search crawls the Drop Off Library although it is only temporary storage and should not be indexed. SharePoint The copy/move operation is visible in the site manager user interface for users who are not site collection administrators. SharePoint When the w3wp process starts, first-time hits to Metadata Navigation take a long time to complete. SharePoint In a document library there are shared content types between documents and documents sets. If one of the fields in these shared content types is marked as shared in the document set, that field becomes read-only for all documents that are outside of the document set in that document library. SharePoint When nonalphanumeric characters, such as an ampersand, are entered as part of the alternate text of a publishing image, the alternate text becomes overencoded. SharePoint Users cannot access the local taxonomy group to create local taxonomy fields by using code. SharePoint A subweb in a site contains nonalphanumeric characters, and a document library within that web is set to open Office documents by using the Web Viewer. An HTTP 400 error occurs when you click a document ID link in this scenario. SharePoint The audit trail is lost when an item is sent to the drop off library and does not automatically get routed to the final destination. SharePoint If a user creates a site collection, deletes it, and then re-creates the site collection by using the same name, the site collection group is not re-created in the term store. SharePoint The Japanese translation for "Make Homepage" is inccurate. SharePoint A user writing custom administration tools using TypeDescriptor.MergeXml gets server-side InvalidProgramException errors. SharePoint "ArgumentException: The provided URI scheme 'https' is invalid; expected 'http'" error occurs when Business Connectivity Services is used to connect by using HTTPS to a WCF line-of-business system that is based on SOAP 1.1. SharePoint “Argument must be between 0 and 3. Parameter name: fieldCount” error occurs when the user tries to view the summary of the external content type in the ViewBDCApplication.aspx page or the details of the external content type in the ViewBDCEntity.aspx page, if the version of an external content type does not contain build or revision components. SharePoint A call to GetLobSystemById or to GetLobSystemInstanceById public APIs on the remote administration web service with performErrorCheck set to false returns ArgumentNullExceptions. SharePoint When a user's profile picture is deleted, the entire folder is deleted if the user's pictureURL field is set to valid folder URL. SharePoint Workflow cleanup process is inefficient. SharePoint Prior to SP1, SharePoint administrators could not set a limit on the number of Broadcast Slideshow attendees through a PowerShell cmdlet. Beginning with SP1, this functionality is included. SharePoint User cannot recover deleted SPSite and SPWeb objects. SharePoint Output caching does not work when a web part is configured to target an audience that contains users who belong to more than one audience. SharePoint Generation of news feeds on My Sites is governed by the Activity Feed Timer Job. Before SP1, this timer job was turned off by default over privacy concerns regarding news feeds. Therefore, no activities were generated on the My Site news feed by default. 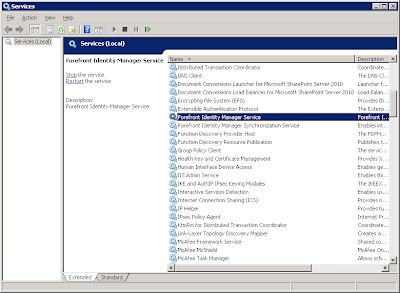 Starting with SP1, a setting on the My Site Settings page for User Profile Service Administrators provides control over news feed behavior. The Activity Feed Timer Job is now always enabled, but administrators can use this new setting to opt in or opt out of news feeds. SharePoint You cannot customize the runtime behavior of the Social Security Trimmer, which is used when you retrieve social data, such as tags, notes, ratings, or Newsfeed data. SharePoint Before SP1, SharePoint Server 2010 did not support SQL Server Code Name "Denali" (SQL 11). SharePoint Starting with SP1, a new -RbsProviderMapping parameter is added to the Move-SPSite PowerShell cmdlet to let the operation keep file content stored in RBS in the same location when the same RBS provider is configured on both the source and the target content databases. SharePoint When you use the Chart Web Part on a page in a site that is enabled for anonymous access, the Chart Web Part will crash and return "Object reference not set to an instance of an object" message. SharePoint A call to listdata.svc will fail for lists that contains a calculated field for which the validation formula returns a boolean value and for which the data type is set to "Yes/No." SharePoint Using Linq to SharePoint in partially trusted code applications will fail if the Linq query contains reference to local variables. SharePoint Before SP1, there was no way for developers for obtain custom errors and exceptions back for Listdata.svc. Starting with SP1, developers can set the CallStack property to "true" in the web.config file to obtain the actual error message and the call stack. SharePoint Image URLs are broken after you apply a theme. SharePoint A date field in a MySites page does not let user enter a date in the user's native date format. SharePoint Parentheses are positioned incorrectly in "right-to-left" languages in Group By view. SharePoint Users cannot use the My Site Settings page to accept "Secondary My Site Owner" input. SharePoint When you add the colleagues web part to your My Content page and then click the link to manage colleagues from the colleagues web part, you receive an error message. SharePoint The user adds a Media Player Silverlight control on a SharePoint page and then loads an unsupported video file into the control. In this scenario, there is no convenient way for the user to access the file through an alternative media player. SharePoint Before SP1, there was no convenient way for users to select a video frame to set as the Thumbnail. Starting with SP1, this functionality is provided through the "Video Thumbnail Picker" feature. SharePoint You use the Silverlight-based Organization Browser to find a specific person, and then you visit another webpage. If you then click "Back" in the browser, the specific (person found) webpage is not remembered. The default page is displayed instead. SharePoint When the Silverlight-based Organization Browser is included on a page that is not in the same web application as the profile page where the browser is included by default, the browser will prompt for a username/password or just not work. SharePoint When you view a list that is displayed as "Group By" sections, the dates in those sections are not localized. Therefore, those dates may seem to be wrong. SharePoint Hebrew dates that are displayed in group headers in an XSLTListViewWebPart are incorrect when grouping is enabled. SharePoint The Media section of the ribbon contains two buttons that are nonfunctional for editing or creating blog posts, "Audio and Video" and "From SharePoint" under Images. SharePoint Users cannot see how their SharePoint storage is being used. SharePoint The upgrade progress indicator in the SharePoint 2010 Products Configuration Wizard get stuck at "10%" while you are running an upgrade after you apply an update. SharePoint If third-party code fails while it reacts to SharePoint password changes, the password change process is not completed. SharePoint If you create a one-letter list name, the tree view control will display the wrong information and issue an expensive query. SharePoint You cannot create a new OneNote notebook in a OneNote 2010 document library. The following error appears: "'New Document' requires a Microsoft SharePoint Foundation-compatible application and web browser. To add a document to this document library, click the 'Upload Document' button." SharePoint Performance issues exist when downloading large files. SharePoint When you edit permissions, the keyboard focus on browsers other than Internet Explorer is not correctly placed in the dialog box when you click the Grant Permissions ribbon button. SharePoint A SharePoint managed account user receives repeated password expiration warnings even though the account's password is set to never expire. SharePoint An email alert is not sent when a document is deleted that does not have a major (published) version. SharePoint The Document expiration column gets modified when a full crawl is run. SharePoint Alerts do not function correctly in several scenarios. SharePoint If you have a required multiple value lookup that is not included in the view, when you switch to datasheet view, duplicated entries are displayed. SharePoint The browser is not automatically refreshed after a form is saved to the form library by using the "Edit in Microsoft Office InfoPath" functionality. SharePoint SPWeb.GetSiteData(SPSiteDataQuery) that filters on an indexed field has poor performance when list items are organized into folders. SharePoint The default settings on content databases for maximum number of site collections and for warning level for site collections are higher than the current published guidelines recommend. SharePoint When a user uploads a document that has a very large number (such as 1 million) of links, the database becomes bogged down. SharePoint After you apply an update but before the build-to-build upgrade is run, some components, such as the "Microsoft SharePoint Foundation Usage Data Import” timer job, are not executed. SharePoint Deleting a Recycle Bin item takes too long. SharePoint After a full crawl, items that were deleted between the last incremental crawl and the full crawl remain in the index and remain searchable. Starting with SP1, these deleted items are removed from the search index after a full or incremental crawl. SharePoint Operations, such as "stsadm -o backup", "stsadm -o mergecontentdbs", or the Move-SPSite Windows PowerShell cmdlet, do not work correctly for some language sites. SharePoint Orphan data is left behind in the database after versioned list items are deleted from the Recycle Bin. SharePoint You move a site collection, but the config database updates fails. Therefore, the site collection is not available in the new location. It is also not available in the original location because was deleted. SharePoint When you issue an SPQuery that uses list joins and projections, the query returns a "One or more field types are not installed properly ... " error message. SharePoint On Galician blog sites, the date box on the left side of a blog entry shows the month and the day reversed. SharePoint When you click "Test Link" in the Image Viewer web part, the browser crashes. SharePoint Users experience publishing failures. SharePoint When you send a meeting request that has an exception to a SharePoint calendar, only the last exception is displayed on the Calendar. If you try to send that same meeting request again, the last exception is duplicated, and the duplicate event cannot be deleted. SharePoint When you delete a folder that is inside a list, attachments to the list items that are contained in the folder are not deleted. SharePoint The JAWS screen reader reads ribbon menus incorrectly in Firefox. SharePoint Right and left alignment icons in the Ribbon are mirrored incorrectly in "right-to-left" language versions. SharePoint Before SP1, you could not have some pages rendered in Internet Explorer 9 document mode (instead of Internet Explorer 8). Starting with SP1, a control is available that lets you set individual pages to be rendered in Internet Explorer 9. SharePoint Calendar view is not rendered correctly when the browser window is resized. SharePoint If a SharePoint managed account is removed in Active Directory, the account cannot be unregistered from SharePoint. SharePoint When you try to search in Help as a non-administrator, no results are returned. SharePoint URLs to documents in document libraries are very long and include the Source parameter when the URL is copied (e.g., by right-clicking and selecting Copy Shortcut). In SP1, the Source parameter is not included in a copied URL, so the URL is much shorter. SharePoint On a single page, if a combination of a CAML list view (or any non-XSLT list view, such as Calendar) and an XSLT list view (list or document library) is present and Group By views is enabled on the XSLT view, a problem occurs when groups in the XSLT list view are expanded. After a page refresh, a script error occurs and the groups cannot be expanded again. SharePoint When you use the Backup-SPSite Windows PowerShell cmdlet with the -UseSqlSnapshot parameter, an error occurs. SharePoint After a user changes a doclib content type field from required to hidden, they cannot check in a file of that content type. SharePoint The Quick Launch is difficult to navigate using accessibility tools. SharePoint Before SP1, the Title field on attachments was a required field. Therefore, users had to supply a title to save a document. Starting with SP1, the Title field is no longer a required field. SharePoint Group owners cannot delete the SharePoint groups that they own.